Justin Trudeau with wife Sophie Grégoire-Trudeau just as results from polling stations across the country confirmed a Liberal majority government. Photo: Jean-Marc Carisse. Copyright. “Victorious Trudeau” is the caption of this large, beautiful and poignantly touching photograph on the front window of Jean-Marc Carisse’s Studio Café located on Elgin Street in Ottawa. It’s a remarkable record of history in the making, as it was taken by Mr. Carisse in Montreal just as Mr. Justin Trudeau’s Liberal Party won the 2015 Federal Elections in Canada held on Monday, October 19th. Countless other photos adorn the walls of the studio café Jean-Marc and his wife have lovingly and meticulously built on Elgin Street. Mr. Carisse, an award winning photographer (see profile below), has seen action around the world for more than forty years. 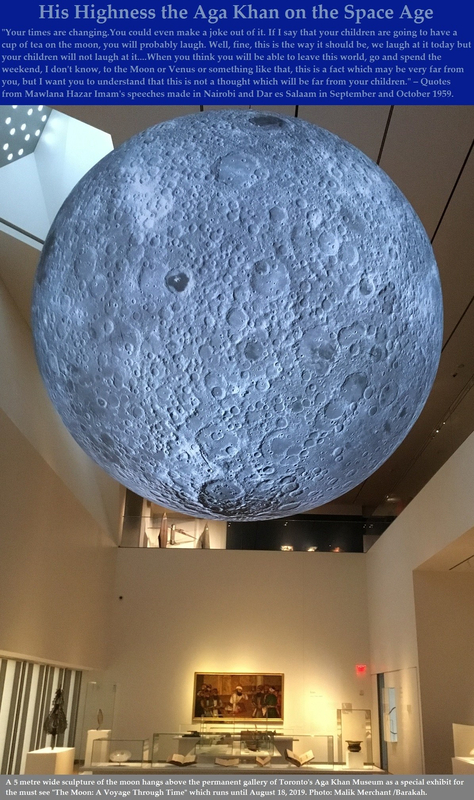 From activists to artists, and singers to prominent world leaders, past and present, Carisse has the iconic figures as well as the common man well represented in his European inspired space that I call The Jean-Marc Carisse Museum of Photography. Carisse Studio Cafe Photography Gallery on Elgin Street in Ottawa. Ask Jean-Marc Carisse – the humble, lively and ever-joyous and smiling man – about the background and context of the photos, and he will oblige with details so rich, interesting and, sometimes, amusing that you will want to go back and look at the photos on the walls again and again. Jean-Marc’s enormous collection include hundreds of photos of the 49th Ismaili Imam, His Highness the Aga Khan, in group settings. One that Carisse is particularly attached to, in which His Highness appears alongside former USA President Jimmy Carter and Cuban leader Fidel Castro, was taken at the funeral of Justin’s father, Prime Minister Pierre Trudeau. 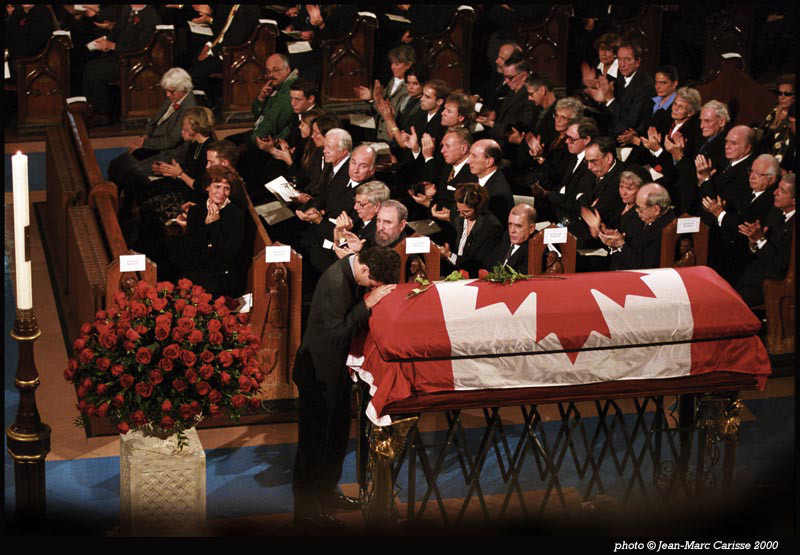 In this photo Justin, the loving son, and now Canada’s Prime Minister designate – he officially becomes the Prime Minister on November 4 – is seen resting his head on his late father’s casket. This is a truly remarkable and poignant photo taken in sadder circumstances. The photograph shows former Prime Minister Pierre Elliott Trudeau’s family, friends, colleagues, and official guests in attendance to observe his passing. His son, Justin, rests his head on the casket of his father. Margaret Trudeau is in the front pew with son, Alexandre. In attendance next to Cuban President Fidel Castro are former Governor-General Romeo Leblanc, His Highness Prince Karim Aga Khan and former U.S. President Jimmy Carter. Other notables present at the ceremony not shown in this photograph include past Canadian Prime Ministers John Turner, Joseph Clark, Brian Mulroney, and Jean Chrétien. Photo: Copyright Jean-Marc Carisse. When I asked Mr. Carisse to create a special dropbox for me of the photos of His Highness, he gladly obliged for the photos that were electronically available which he had shot over the past 12 years or so. 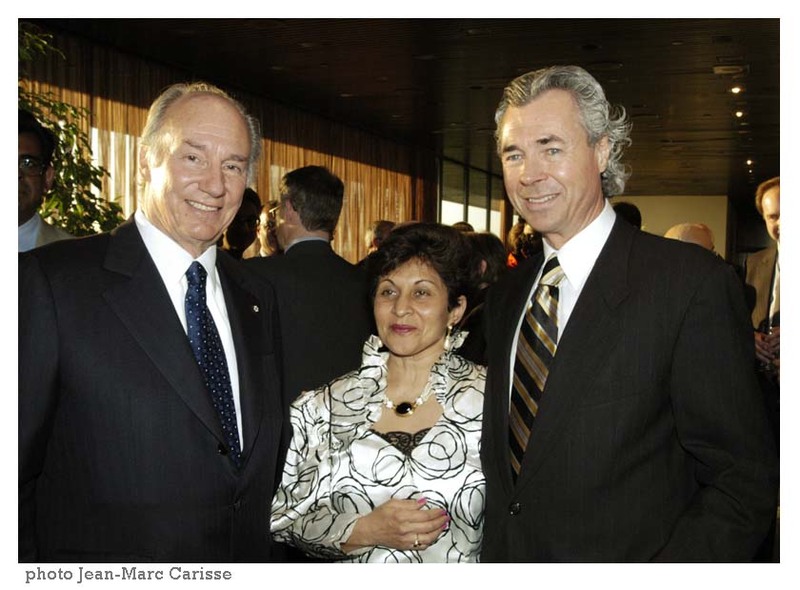 These photos were from the Ismaili Imam’s visits or meetings with Ministers who during the 2002-06 time frame headed the Department of External Affairs. The Liberals were in power at that time, and Ms. Yasmin Ratansi, an Ismaili Muslim, was the Liberal MP representing the Don Mills East constituency. She lost her seat in the 2011 Federal Elections to the Conservative member by less than 1,000 votes in what turned out to be a watershed election for the Liberals, who could only keep 34 seats out of 308. But last week in a major turn around, Ms Ratansi won the same riding by almost 10,000 votes, with Liberals increasing their count by a substantial margin to 184! This is our little tribute to Ms. Ratansi who has worked hard for Canadians. Undaunted, this remarkable lady was not prepared to go into oblivion just because she and her party were defeated four years ago. She has come out strong, and we wish her well in the years to come in her service to the people of this great country. 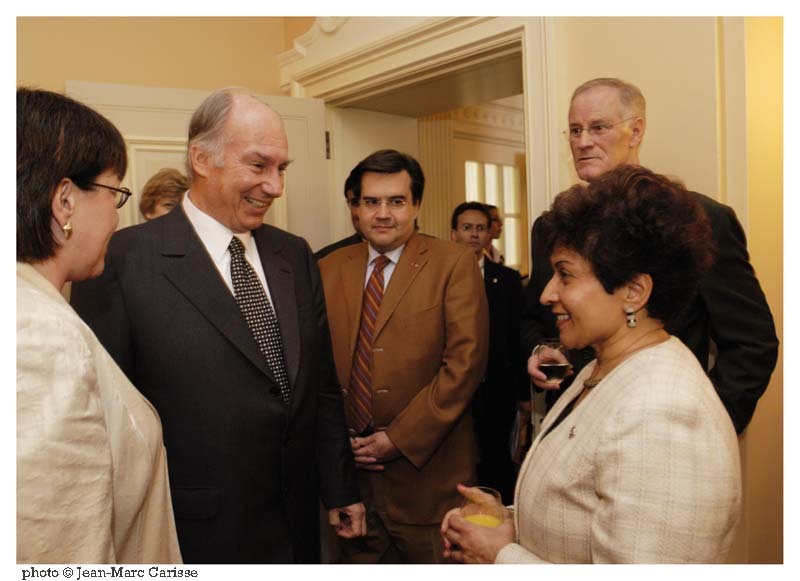 His Highness the Aga Khan and Yasmin Ratansi (right) in a happy exchange with Canadian External Affairs Minister Bill Graham (2002-2004), looking on. Photo: Jean-Marc Carisse. Copyright. 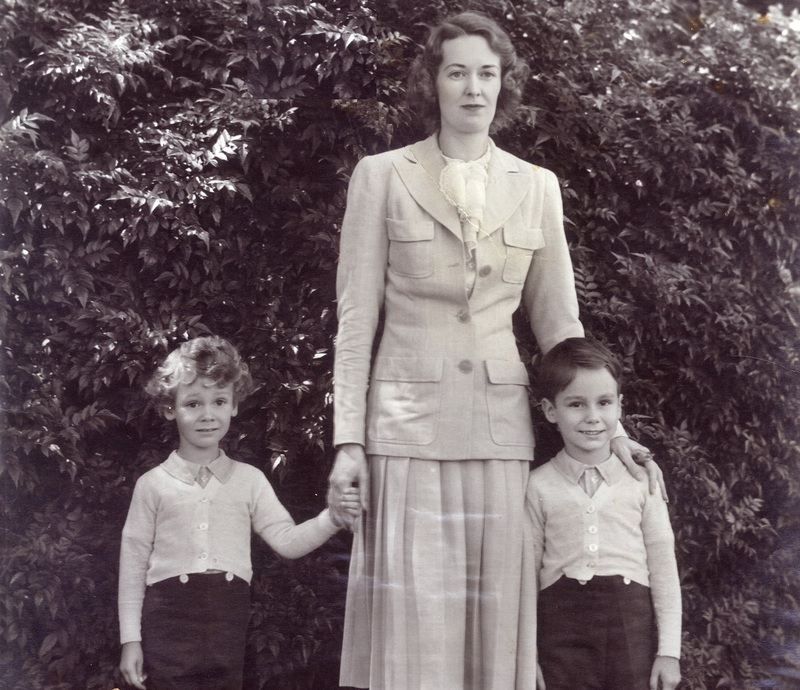 With regard to Mr. Justin Trudeau, who will officially become the Prime Minister on November 4, I might note that the relationship of the Ismaili Imamat with his family goes back more than 40 years, when the Liberal Government under Justin’s father, Mr. Pierre Trudeau, accepted thousands of Asian refugees including Ismailis from Uganda. 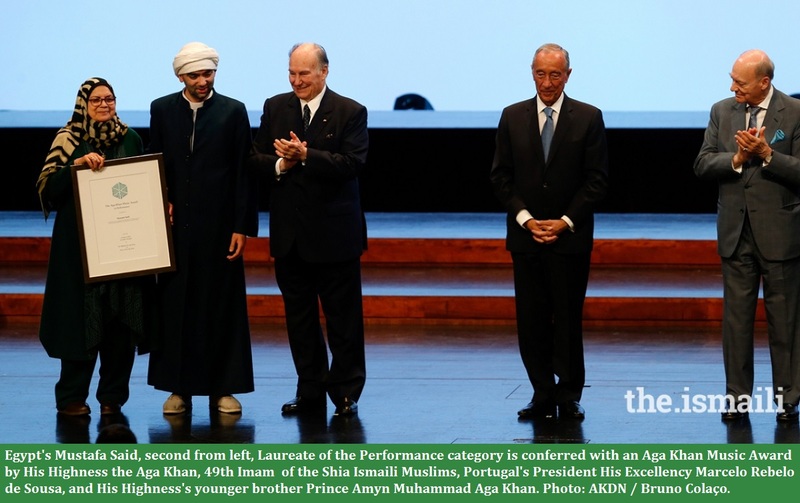 Judging by the respect and warmth that Mr. Justin Trudeau has shown towards the Ismaili Imam and the Ismaili community, we expect that the fraternal bonds between the Ismaili Imamat and Canada will continue to remain strong, as they have been under the leadership of Prime Minister Stephen Harper and other Prime Ministers before him. We wish Mr. Justin Trudeau and his Liberal Government the very best to serve this country well, and to lead the country to loftier heights. 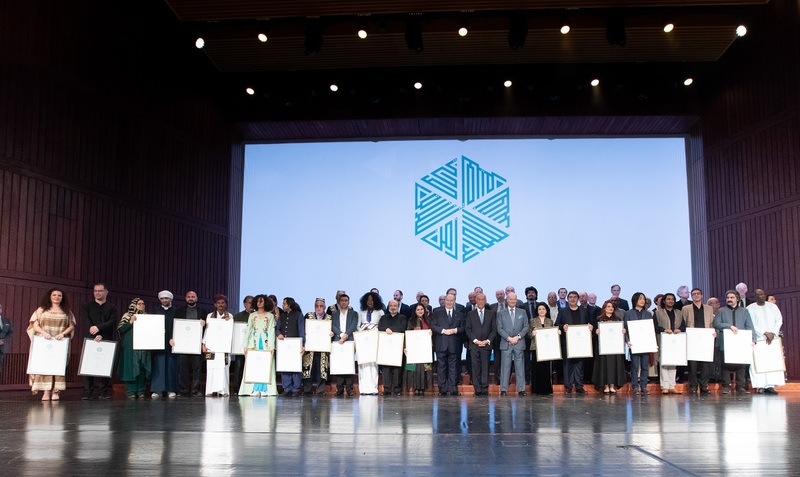 The Ismaili community, as ever, will continue to excel in its commitment to this magnificent country in all spheres of human endeavour, under the guidance of their beloved Imam, His Highness the Aga Khan, who asked his Ismaili followers in 1978 to make Canada their permanent homes. 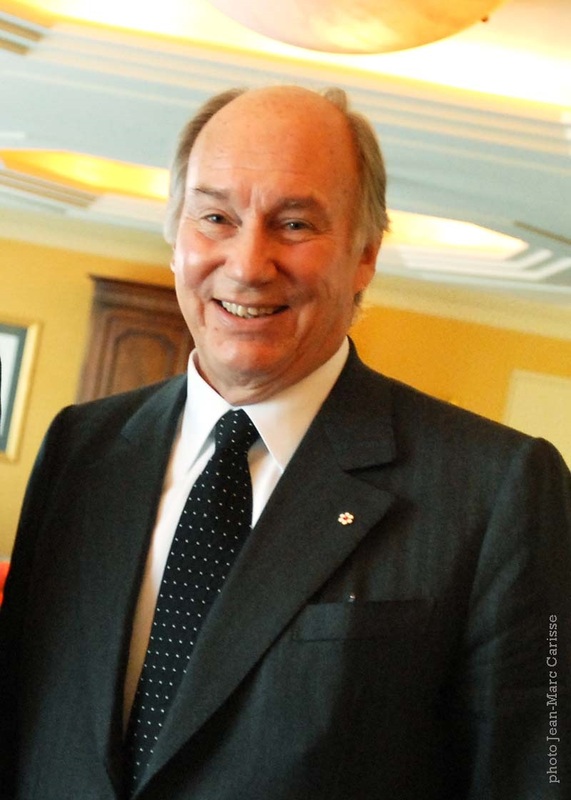 We conclude by mentioning that the Diamond Jubilee (60th Imamat Day Celebrations) of His Highness the Aga Khan will be celebrated in July 2017, at the same time that Canada celebrates its 150th anniversary. We look forward to celebrating these two great milestones in Canadian and Ismaili history under the leadership of Prime Minister Justin Trudeau. Date posted: Tuesday, October 27, 2015. We invite your feedback – please click Leave a comment. Award winning photographer, Jena Marc Carisse has photographed the political, cultural and social scenes in Ottawa and around the world for over 40 years. He was official photographer for the Prime Minister’s Office for many years serving Prime Ministers Trudeau, Turner and Chrétien, as well as serving Official Opposition Leaders Bill Graham, Stéphane Dion and Michael Ignatieff. He’s also photographed consecutive Prime Ministers from Diefenbaker to Harper, US Presidents from Ford to Obama and hundreds of world leaders. Many of his photographs have appeared on the covers and pages of history and political books (including his own coffee table book “Privileged Access w/ Trudeau, Turner & Chrétien” by Warwick Publ. 2000), magazines including Time, Paris Match and Maclean’s, as well as TV documentaries and biographies.